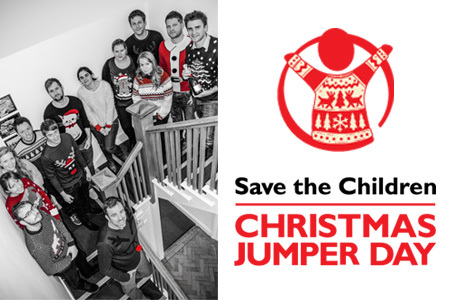 Its that time of year again when the nights are long and the days short, but fortunately Save The Children’s ‘Christmas Jumper day’ is here to lighten the mood and get everyone in the festive spirit. Staff from GWP Architecture and GWP Project Services all joined in, wearing their best and worst Christmas jumpers for the day, as well as donating to the children’s charity (see the full photo here). This is the third year running that the practice has got involved in the national campaign and we are please to donate £100 to the charity, which helped 15.4 million children through their work in 2013, running world class programmes to save children’s lives.